In 1979, Billy Joel and other musicians from Cuba and the United States participated in an historic three-day music festival at the Karl Marx Theater in Havana, Cuba -- Havana Jam '79. Unfortunately, Billy's performance was apparently not recorded on video (or not released). The video above is a re-enactment of Billy's performance of "Big Shot" using footage from a 1979 concert in Houston. Read the People magazine cover story about Havana Jam. Read The Rolling Stone article about Havana Jam. See photos from the Billy's trip for Havana Jam, from the Official Billy Joel webiste, here. For more information about Havana Jam '79, click on the Wikipedia Entry. For information about a documentary about Havana Jam '79 being produced, and video clips from the documentary, click on ZuDhan Productions' Havana Jam '79 Facebook page. See trailer for the documentary below. © Tom Zito. All Rights Reserved. © 2016 One Final Serenade. All Rights Reserved. Here is a trailer about a Havana Jam 79 documentary by Zudhan Productions. Visit the Facebook page ﻿here﻿. 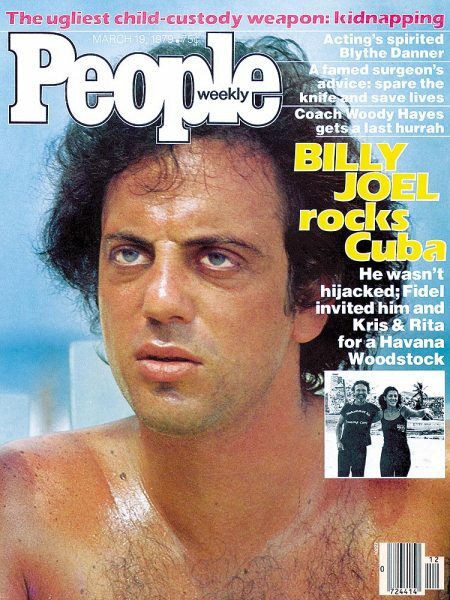 Click image for People Magazine article on Havana Jam '79.